THE SUBPRIME CRISIS, Greece, MF Global: what’s next? A casual observer could be forgiven for thinking that debt is the modern opiate, certain to wreak havoc on all those who indulge it. Not so, assures Louis Hyman, in his retrospective tour of American credit. He tells us that borrowing “is a tool ... it is as good—and as bad—as the man” who uses it. No, wait: that was Shane on the merit of firearms. But it is the idea that Hyman was aiming for when he wrote that “easy access to credit is neither a good thing nor a bad thing, it depends on context.” This is an imprecise sentence, symptomatic of the verbal clumsiness that frequently detracts from Borrow: The American Way of Debt, a volume that nonetheless offers a fresh perspective on the epic changes in American culture wrought by consumer finance. By the Roaring Twenties, attitudes were changing, yet even as department stores began issuing credit, they insisted on a personal meeting with borrowers, usually housewives, in which they stressed the debtor’s moral obligation. Similarly, credit cards were at the outset a symbol of “classiness” and financial worthiness. Only later did a stack of plastic signal profligacy, a middle-class disposition to pay off one card by running up charges on another. If the attitudinal changes that Hyman details are sometimes startling, so, too, is the evidence of how little has changed. To wit, there have always been bankers who didn’t care a fig for being repaid. With fine and original reporting, Hyman explores the mortgage bonds of the 1920s, reminiscent of latter-day CMOs. Investors put down money and received a monthly coupon backed by mortgage payments. Then as now, speculation was rife. At least in the ’20s, the Federal Reserve frowned on commercial banks backing home mortgages, but Hyman shows that the Fed was willing to make exceptions so long as banks adhered to specified capital-to-loan ratios. And when the Lincoln Bank and Trust Company in Louisville, Kentucky exceeded those ratios, the Fed decided—this was in 1929—that perhaps, well, the rules had been too stringent. Under Alan Greenspan, the Fed would do no better. As with housing, retail evolved with the machinery of credit. Initially, stores let people buy “on time” as a courtesy. Department stores, being better able to offer credit, used it to gain market share. In a later stage, stores jacked up interest rates and turned credit into a profit center. No longer were housewives urged to pay down balances so promptly. Finally banks seized the goose for themselves. Hyman claims that half of American households had a Sears card in 1979. I find the figure incredible, but the point remains. 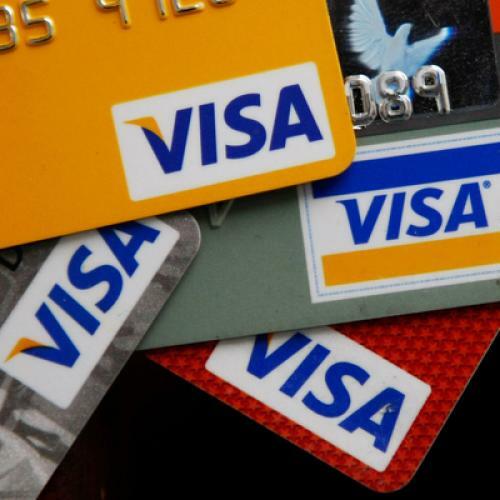 Store cards, once dominant, gave way to the vastly greater capital of bank networks, Visa and Mastercard. The latter eroded the edge of the department stores, paving the way for discounters and specialty chains. Hyman spends too much time wandering down side alleys, such as the history of the automobile assembly line. He suffers from Coca-Cola Syndrome: a history of Coca-Cola does not require a history of everyone who ever tasted Coca-Cola. And he makes the classic mistake of assuming that wherever credit was present on the stage, it was at center stage. Hyman believes that credit saved the American home, and also the American car. He writes that an unfair dispersion of loans produced “the penury of the American ghetto” and race riots. He charges that decisions to divert capital from manufacturing into consumer credit destroyed factories and jobs. But surely American racial strife was more complex, and global trade had something to do with the losses sustained by factories. Hyman writes that “the postwar dream of suburban living was made possible through debt.” It is a big if imprecisely worded claim, one that would benefit from more evidence. The relevant statistic is that, during the 1950s, household debt as a percentage of income rose from 40 percent to 60 percent. This was a leap, but also a sustainable leap. Personal debt remained at that level until the early 1980s. Then, thanks to credit cards and more liberal mortgages, the ratio soared, reaching, in 2007, a patently unsustainable 135 percent. Such figures, easily accessible, are nowhere present in this book. This is, to put it mildly, a serious omission. Then there are the unfortunate lapses in writing. To say that the Roaring Twenties consumption craze “paused only briefly during the Great Depression” is to describe the Depression as no one previously has: as brief. When Hyman says “Ford’s anti-Semitism sprang from mechanic ideals,” is the author trying to say that Ford identified with mechanics, not with financiers? Hyman has a weakness for dramatic effect, but phrases such as “while the suburbs prospered, the cities fell apart” cry out for precision. Hyman may fancy himself a social historian, but to refer to those involved in the mortgage bubble as “the bourgeoisie” places the author in the wrong history, perhaps the wrong century. Hyman has researched his subject deeply, and his diligence shows. One story that rings both poignant and true concerns a struggling couple for whom a credit card was a step toward bankruptcy. What undid them was a purchase of a $1,100 organ, wholly outside their means. Asked by an attorney to explain, the husband blurted out: “If I couldn’t afford it, why did they let me have it?” In less dramatic fashion, such thinking pervaded the entire culture. As Hyman observes, personal lending was indeed different. Money invested in a business produced (one hopes) value, but “money invested in a house produced nothing.” Ultimately, it was just “an oversized consumer good.” Borrow has many such epiphanies. But its muddled writing too often obscures them. Roger Lowenstein writes about finance for The New York Times Magazine and other publications. He is the author of five books.